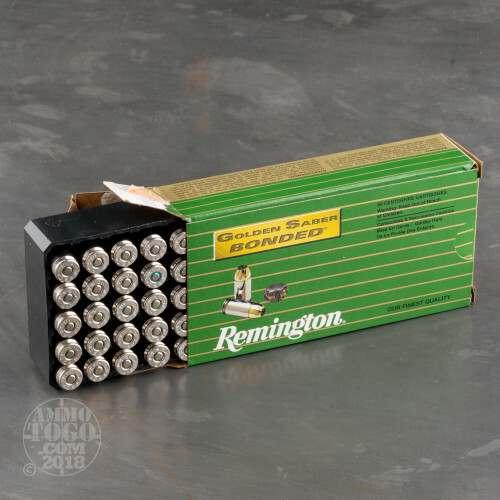 With a long line of legendary firearms and a rich history of excellence, Remington is one of the most respected names in the shooting world. Their Golden Saber line delivers high-level reliability and self-defense performance worthy of the Remington name. 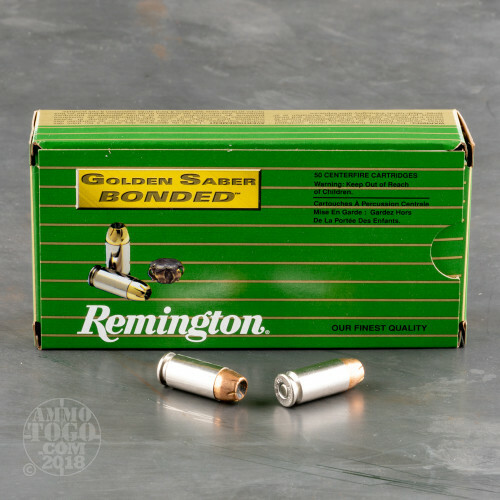 This package contains 50 rounds of Remington Golden Saber .40 Smith & Wesson ammunition. 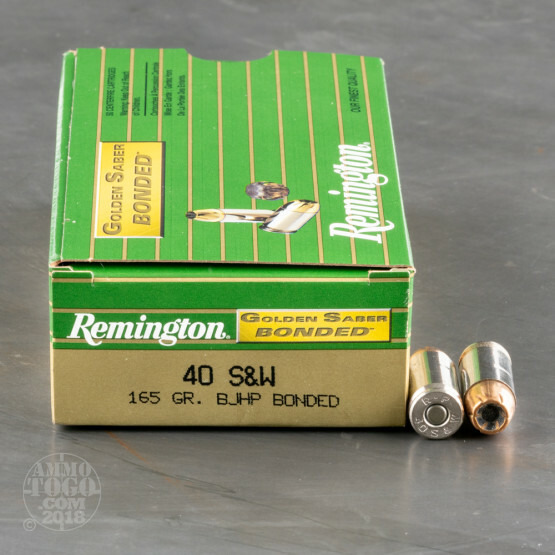 Each cartridge is loaded with a 165 grain jacketed hollow point (JHP) projectile. These unique JHPs feature a high-performance jacket constructed entirely of heavy-duty cartridge brass. Thicker than the standard copper jacket, this design allows for controlled energy release over longer distances. With special spiral cut jacket notches promote impressive terminal mushrooming without sacrificing valuable penetration, even at lower velocities. These bullets easily punch through thick clothing and light barriers without significant deflection or premature expansion. 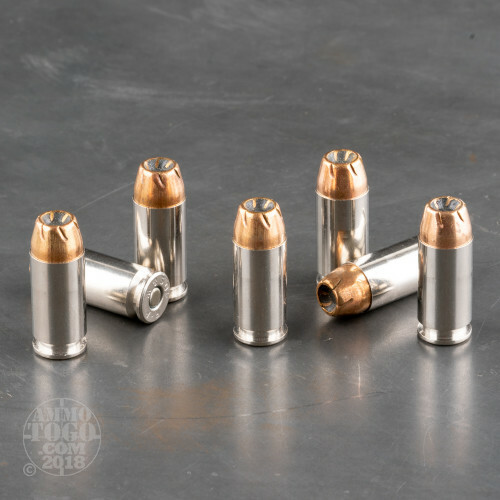 Each of these new production rounds utilizes low-flash powders, a non-corrosive boxer primer, and a fully reloadable nickel-plated brass case. Nickel-plated brass allows for longer storage life, seamless feeding and extraction, and easy identification as a duty or defense round. Each round produces a consistent muzzle velocity of 1150 feet per second and 485 foot pounds of muzzle energy.